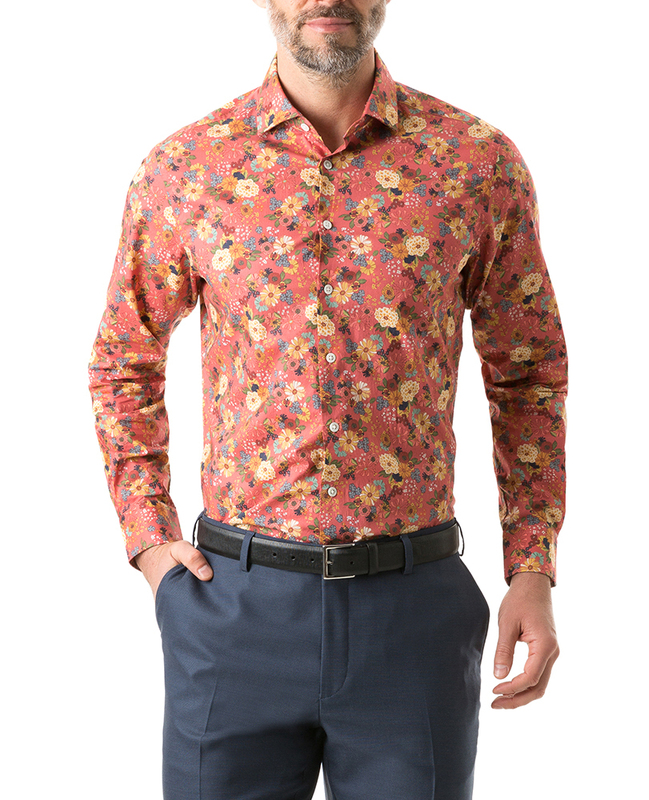 A long-sleeve shirt patterned with a state-of the art floral jet print. The broadcloth fabric is milled in Italy by Thomas Mason, from top shelf Egyptian cotton that is prized for it's softness- even after numerous washes. this shirt has been sewn using a single needle construction with 16 stitches per inch for an impeccable finish. Trimmed with a spread collar, durable mother-of-pearl buttons, and single cuffs.